Moto G has got a lot of positive reviews and the pricing at which it is offered for the specifications that too from a reputed company has changed the market and made it more competitive. There has been a recent drop of price of Moto G on July 31st. As Moto G came with Android 4.4.1 and a recent update was made available by Android to Kitkat 4.4.2. and after the update the device users had started experiencing an issue with signal loss. Users complained of loss of signal completely or sudden drop in signal strength and even connection to the Sim card was lost. Sometimes the Airplane mode was turned on automatically and all connections lost without the user doing anything. Note: If you have read somewhere that a Factory reset will solve the problem then don’t believe in it or waste your time trying, we have tried and it does not work and just a waste of time. This is the easiest of all the solutions explained here so try this out to see if it helped you. Hold the power button until you get a window where you will be getting options to turn your device Off, Restart or Turn Airplane Mode ON. Tap on the Turn Airplane mode ON and after an airplane logo is seen in place of the signal strength indicator wait for 1 or 2 minutes and then turn Airplane mode OFF. This must solve your problem temporarily. The first solution is to restart your device and see of the problem is solved after your device restarts again. Hold the power button until you get a window where you will be getting options to turn your device Off, Restart. Tap on the Restart option and then wait for the device to restart. After the device restarts you should mostly see that the problem is solved and you will be getting signals back. If you are still facing the problem then see the next step. Motorola and Android have got the problem in their to do list as there are many complaints from users, they had released a minor update for the same but it did not solve many users problems. So if you have recently not updated your device then updating your device to the latest firmware can bring a permanent solution to your problem. Tap on the Settings icon -> Scroll down in the options and Tap on About Phone -> System Updates now you can see the details of your Moto G device the firmware and other details and it will automatically check and tell you if any updates are available or not. 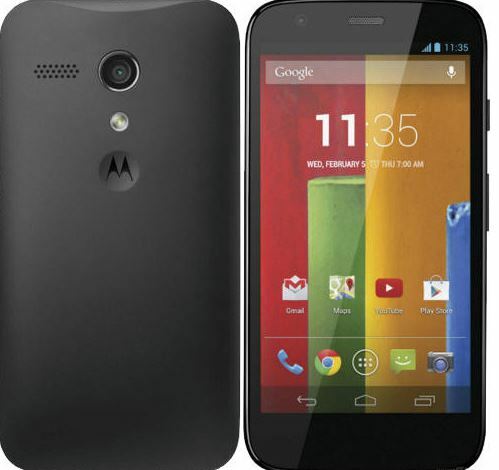 Nothing works with MOTO G signal loss, it has become an headace for MOTO G users. the same problem for me.. after update, signal is gone! my moto g has no signal.how do i get an update if i have no signal? LET THE BATTERY DISCHARGE COMPLETELY, until the phone shuts off by itself. THEN RECHARGE, POWER ON … voilà! signal again :). I’ve tried many other suggested solutions (airplan mode on-off, 2g-3g on-off, wipe cache, factory reset etc.) but none of these gave any consistent result.